Wouldn’t it be wonderful if we had a recipe to make an idea? 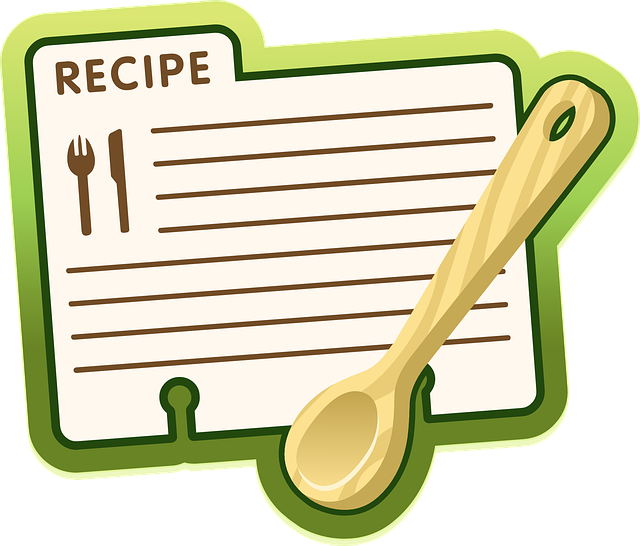 A recipe is valuable when making dinner, particularly a new dish. It helps prevent unfortunate errors in ingredients or measurement. It’s faster and more reliable so you can create a dish over and over with the same delicious results. While it’s true that experimenting during brainstorms is good (not unlike cooking), I’m convinced a recipe-like guide – not necessarily a set of hard and fast rules – would be helpful to make people more creative. Sadly, a search on the internet doesn’t offer too much help. On the other hand, two points-of-view – one old, one new – helped me define the recipe I use. Using these two quotes as a guide, I developed this simple recipe. Best of all, there are just two ingredients! The Purpose describes two things – often the same thing – about the topic of your brainstorm. Your problem or issue – What problem does your idea need to address, eliminate, minimise or neutralise to achieve your goal?. Your need or wish – What do you want to happen or what trend/opportunity do you want to leverage to achieve your goal? In other words, what do you want the idea to do, exactly? I’ve written two other posts on this subject. You might check out How To Write SMART Objectives and Framing the Problem. The Stimulus is any element that acts as a catalyst to spark or inspire your imagination. There are basically two types. Combine and merge is what happens when you look at a picture and a random thought occurs to you which could suggest a potential idea. Visual stimuli are one of the most useful prompts, but inspiration can come from a variety or things. A thing or an object (its real or figurative use or symbolism). A mental thought, usually random – such as something you think during a daydream or when sleeping. A memory, an experience – either an immediate sense or something you remember, nostalgic. A word, phrase, concept or theme. Anything visual, such as a picture or a chart. Anything from the other four senses – from a sound, taste, smell or touch. Any other idea or solution. This is more commonly known as borrowing and stealing. In other words, you take any other idea from an entirely different situation and apply or bend it to your current problem. You could even use a bad idea, by improving or adjusting the bad elements to create a new, better or different idea. Change or adapt is what happens when you add to, remove or change to some degree one of its elements of your topic, such as size, frequency, colour, taste. When I ran a brainstorm to come up with new uses for a revolutionary ball-point pen, we began the brainstorm by listing all of the pen’s attributes (size, ink, colour, grip, clip, cap) and asked how we could use that specific element to create a new marketing idea. In one of the most famous historical examples, engineer Earle Dickson tended one evening to a cut on his wife’s hand from a kitchen knife. Dickson only had wide surgical tape and large gauze pads from his employer, Johnson & Johnson. Both were much too large for his wife’s dainty hands. In a stroke of genius, Dickson cut down both gauze and tape into small pieces suitable for a finger cut, and Voila! the Band-Aid was born. If you want other historical examples, go to The Creative Birth of Some Common Inventions for some (excuse the pun) other ideas. Once you have the two ingredients, this is what happens in your brain. Consciously or unconsciously, your brain seizes upon this problem or need to solve. Instantly, your imagination kicks in, looking for stimulus with or without your help. For example, it might look for stimulus/inspiration when you’re flipping through a magazine. Or it may arise as a fleeting thought, out of the blue, like riding to work or showering. Your brain starts coming up with potential ideas to solve the problem. Even more amazing, your brain will continue to work on the problem long after you’ve gone on to another task. At some point, your brain and its decision-making ability to zero on the best idea, also known as your moment of AHA! Know exactly what you want to solve. Jump-start your imagination by finding as many different kinds of stimuli as possible. That’s why having visual stimuli such as magazines, pictures, word association games and the like are helpful to kick-start your creativity. Be sensitive to those AHA moments when your brain makes an idea when you least expect it. Your idea might pop up in a brainstorm, walking down the sidewalk, sitting at your desk – even when you’re sleeping. Another reason why I always suggest you keep something handy to write down your ideas when you think of them. What other recipes do you use to spark or inspire your creativity?